← How can I learn to do that? We are available to perform, teach, and consult on circus & creative movement in the Boston area, as well as nationally and internationally. DFC’s Co-founders Marci & Marisa, along with Ringmaster J.T., were featured performers with Granite State Circus, the first woman-founded and run tented circus in the U.S. We are now back to booking our popular professional performers’ acts & shows, offering visiting artist workshops and consultations, and supporting our youth performance troupe. Diamond Family Circus is approved for fee support through the MassHousing TAP Resident Programs & New England States Touring (NEST) artist grants, increasing accessibility to high quality programming for public housing & non-profit organizations. 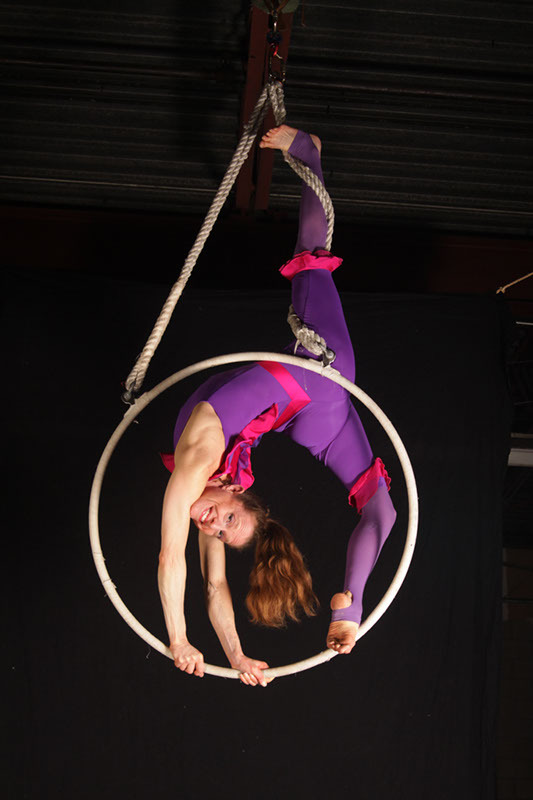 Cabaret-style comedic-romantic partner acrobatics; family-focused partner acrobatics; comedic contortion; and a range of beautiful professional aerial acts from tango lyra and lyrical trapeze to rock, broadway and techno…as well as varied ambient and roving circus entertainment. 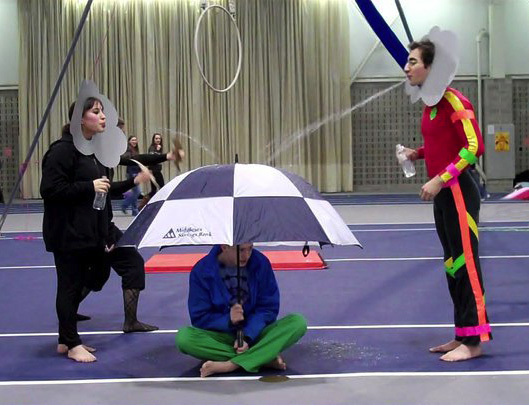 Youth performance troupe: roving performers, balloon twisting, juggling of all types, aerial acts, acrobatics and more! The Diamonds are available for work in films under SAG agreements (including student films). They can also provide workshops in conjunction with performances. Visit our contact page to inquire!